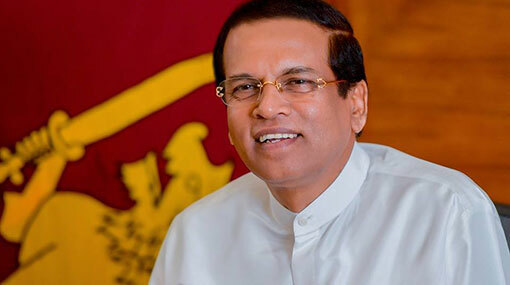 President Maithripala Sirisena says the Government has decided to abolish the Grade 5 Scholarship Examination, following a proposal submitted by him. The President’s Media Division (PMD) stated that this decision was taken paying attention to the undue pressure faced by the students due to the Scholarship Examination. President Sirisena has made these remarks participating in a ceremony held at the Polonnaruwa Royal College to vest the newly built ‘Maithri Shilpa Kala Mandapaya’ auditorium with the students today (25). Even though the Grade 5 Scholarship Examination initiated with the aim of providing an opportunity for the underprivileged students to receive education in a school with resources and to pay an allowance for them to in this regard, at present, it has become a competition to gain entrance to a popular school, the President has said. He has also stated that statistics have shown a large number of students, who gain entrance to the university education, have not passed the Grade 5 Scholarship Examination. The President has further pointed out that it should create a competition to enter into popular schools, but all the schools in the country must be developed physically and ensure quality education by providing required resources. He has stressed that the responsibility in this regard lies with the people’s representatives including the Ministers and MPs. The ’Maithri Shilpa Kala Mandapaya’ comprised of 5000 seats, built at a cost of Rs.140 million under the”Pibidemu Polonnaruwa” District Development programme, the PMD reported. President Sirisena has mentioned that as a past pupil of the school, he had completed all the duties that he should fulfil and the responsibility of the present generation is to properly manage and maintain those resources. Governor of the Central Province Sarath Ekanayake, MP Mohan Lala Grero, Mayor of Polonnaruwa Chanaka Sidath Ranasinghe, the District Secretary of Polonnaruwa, the principal and the staff of the school, parents, past pupils and others had participated on this occasion, the PMD said.